Helping Bee Keepers Help Bees. 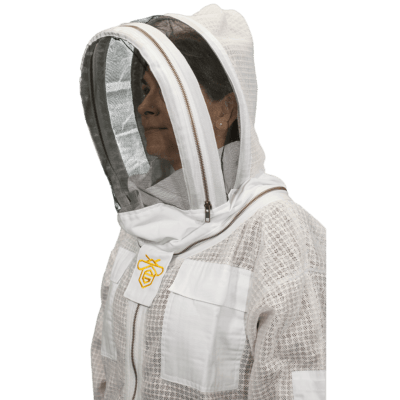 Innovative products for forward thinking bee keepers. Developed by Bee Keepers, for Bee Keepers. As beekeepers ourselves, we know just how frustrating it can be to want the ability to do something in the field and not being able to. 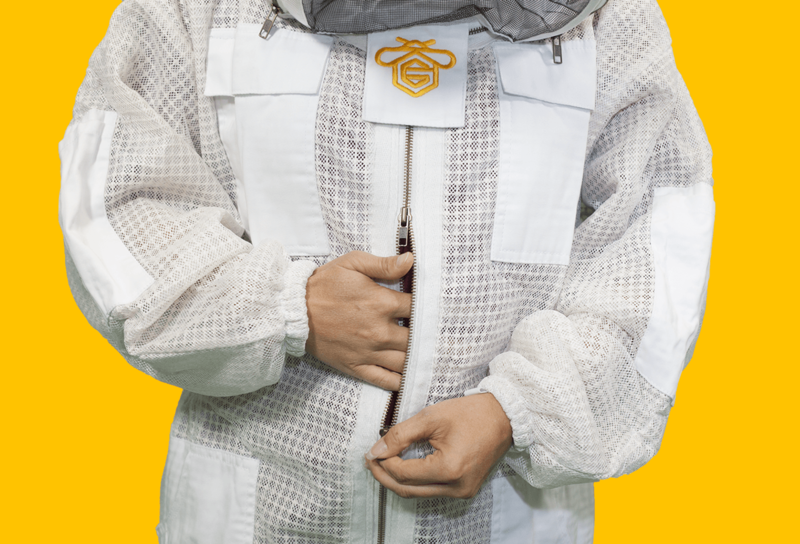 That’s why we developed the GUARDIAN BEE APPAREL line of clothing—to help beekeepers help bees! 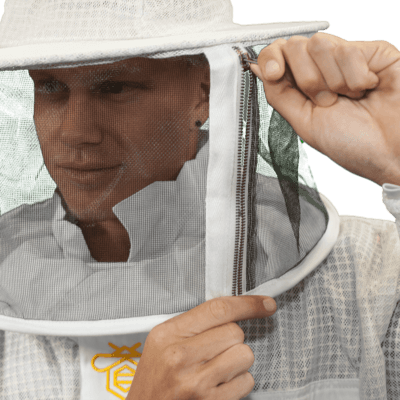 Our patent pending “easy access veil” makes tasting your honey, drinking a swig of water, or wiping sweat from your brow a breeze! 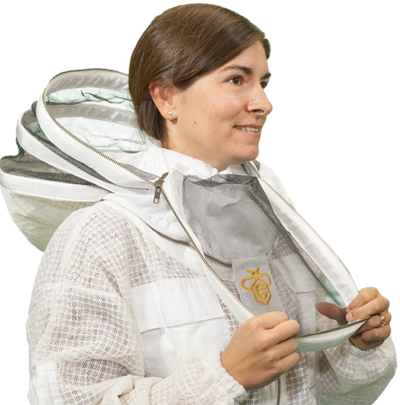 It’s the new standard in beekeeping! Tired of your mesh getting caught in your zippers? 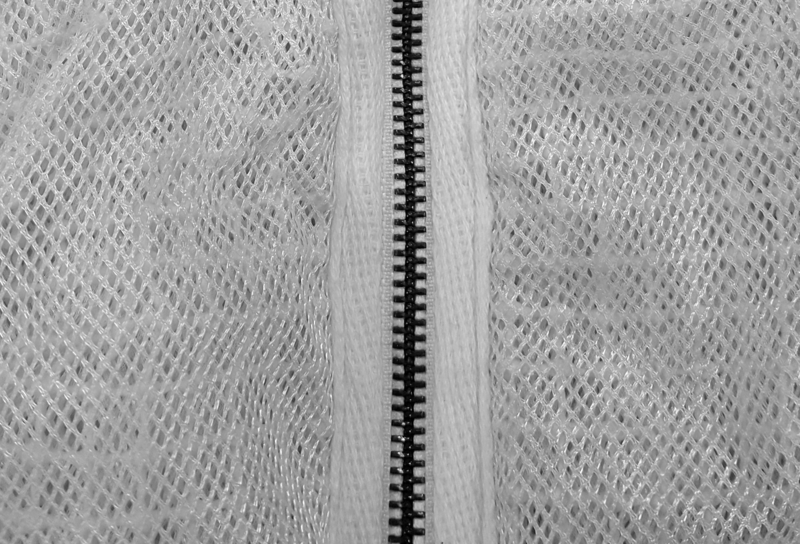 Our ”Zee space” adds space and stability between the zipper and the fabric to help prevent zipper over run! How many times have you wanted to take a picture, but couldn’t? Our triple zipper system gives you quick and easy access to your shirt and pant pockets. We’re beekeepers, too. We know how difficult it is getting a full suit on with boots. But our hip zippers help you quickly and easily get dressed, even with boots on. 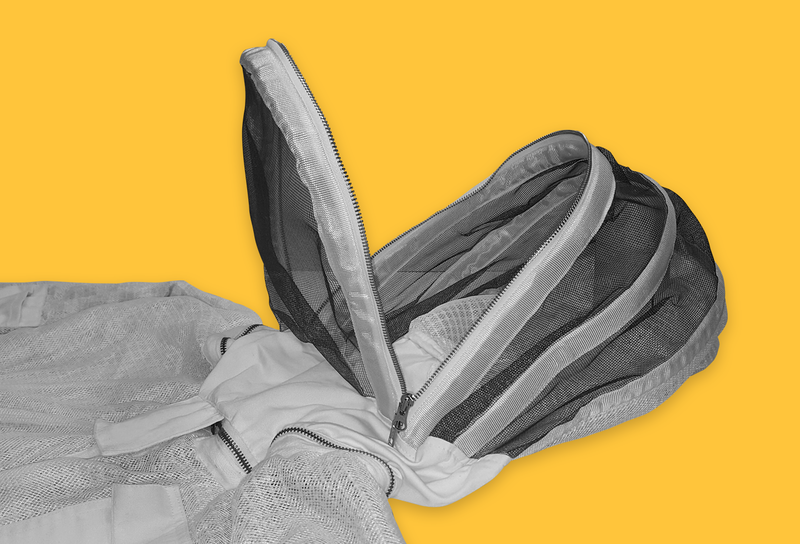 Our highly-sting resistant, ventilated, 3-layer mesh material keeps you cool and confident. We use only high quality metal YKK zippers on all of our suits, jackets, and veils. Upper, lower, and sleeve pockets to give you even more access to the tools you need. No more fumbling with left-handed zippers. 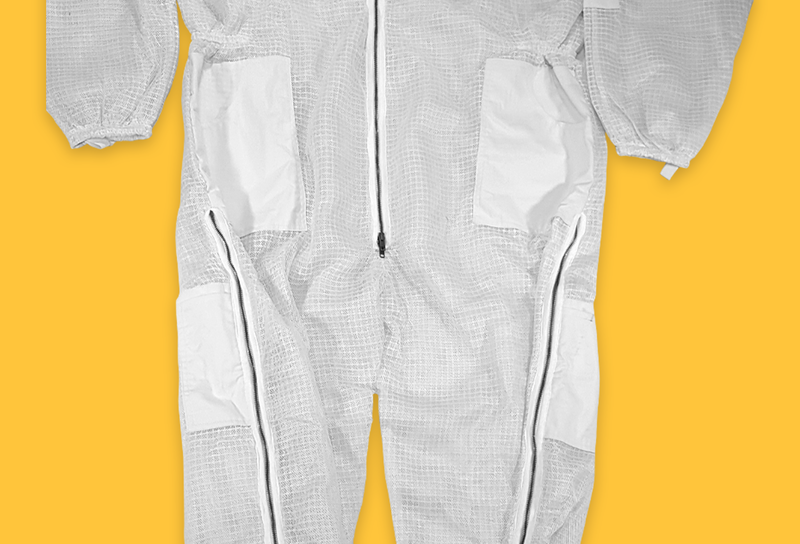 Our jackets use only right-handed zippers..
It’s not just us who are raving about the Guardian Bee Suit. Read what all the buzz is about!